For some Chevrolet dealers in the Pacific Northwest and Mid-Atlantic states, the arrival of the plug-in hybrid Volt means a few new faces have started walking through the doors. "We've been here a long time and the Volt is bringing in people we have never seen before," say Alan Starling of Starling Chevrolet in Florida. Starling Chevrolet is not alone, says General Motors. Initial buyer surveys conducted by GM apparently show that more than 50 percent of Volt owners had not set foot in a Chevy dealership in the past decade and nearly one-third of the plug-in hybrid buyers never once visited a Bowtie dealer. GM says the Volt's current availability is limited to only 550 dealers in seven states. Four months from now, the number of dealerships selling the Volt will soar to "more than 2,600." Following a four-week shutdown at Detroit-Hamtramck Assembly, GM says production of the Volt encountered a "slow ramp up to the current rate of 150 units per day four days a week." That amounts to 600 Volts a week or 3,000 a month, according to GM. 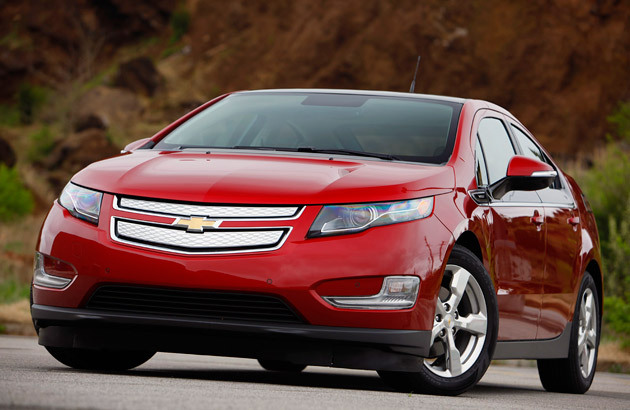 Volt drawing strangers to Chevy into dealerships originally appeared on AutoblogGreen on Wed, 31 Aug 2011 19:48:00 EST. Please see our terms for use of feeds.